Looking for Menai or Bangor skip bin hire? 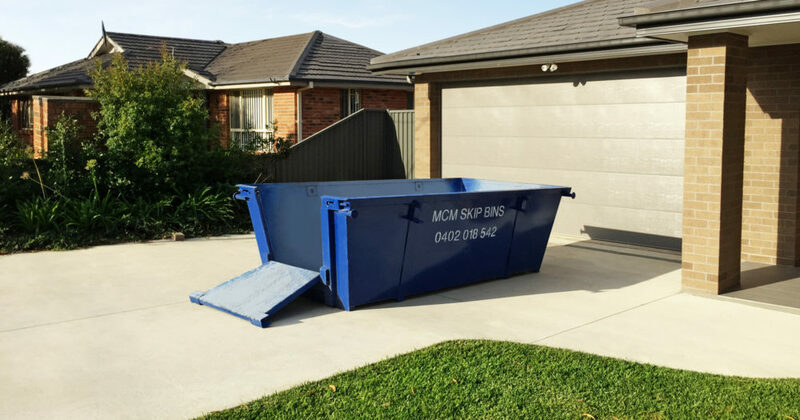 When choosing to hire your skip bin in Menai consider a great price from your local supplier based right here in the Sutherland Shire with you. At one time or another everyone needs a skip bin to get rid of unwanted rubbish, junk and waste. You need easy and fast skip bin delivery in Bangor or Menai. We are a local provider who will work with you to make sure that we are providing the right skip bin to accommodate your needs. Menai has been open to development from the early 1980’s. Menai is around 29km from the centre of Sydney and is proud to be an active community in the Sutherland Shire. Menai residents are starting to renovate their homes. Small bathroom renovations are attracting use of 3 cubic metres skip bins. Kitchen remodels and small additions see the use of 6 metre skip bins. Larger additions and part demolition have our 8 metre skips on site. Moving house is another common reason our customers call for skip bins in Menai. Some residents moving into the area are attracted by the spacious areas in Menai Primary School and Menai High School. Space also draws sport clubs most of whom are sponsored by Club Central Menai. These include Menai Hawks Soccer Club, Menai Junior Rugby League, Menai Dragons Netball and Basketball. Lots of family visit Menai to participate in activities at the Menai Indoor Sports Centre. This thriving community has a choice of shopping centres none busier than Menai Market Place. Menai Market Place provides a choice of fresh produce and daily requirements by many big name brands and smaller local businesses. With buzzing restaurants and cafes, comprehensive medical and community services this is a one stop place for everything you need. Menai Metro attracts big name bulk buying stores and fast food chains for household convenience. With Menai being the central hub of this part of the Sutherland Shire residents find themselves within a 5 minute drive and of anything they need. We are proud to part of the continued progress of such a warm and successful community and enjoy providing our skip bins services to the residents at Menai. Thank you for the loyal support of our business.